The median home value in Ontario is $350,100. Ontario home values have gone up 6.3% over the past year and Zillow predicts they will rise 4.6% within the next year. Mortgage delinquency is the first step in the foreclosure process. This is when a homeowner fails to make a mortgage payment. The percent of delinquent mortgages in Ontario is 0.0%, which is lower than the national value of 0.0%. With U.S. home values having fallen by more than 20% nationally from their peak in 2007 until their trough in late 2011, many homeowners are now underwater on their mortgages, meaning they owe more than their home is worth. The percent of Ontario homeowners underwater on their mortgage is 0.1%, which is lower than Riverside Metro at 0.2%. Now is a good time to make your next move! If you're planning to sell your home in the next few months, nothing is more important than knowing the current value. 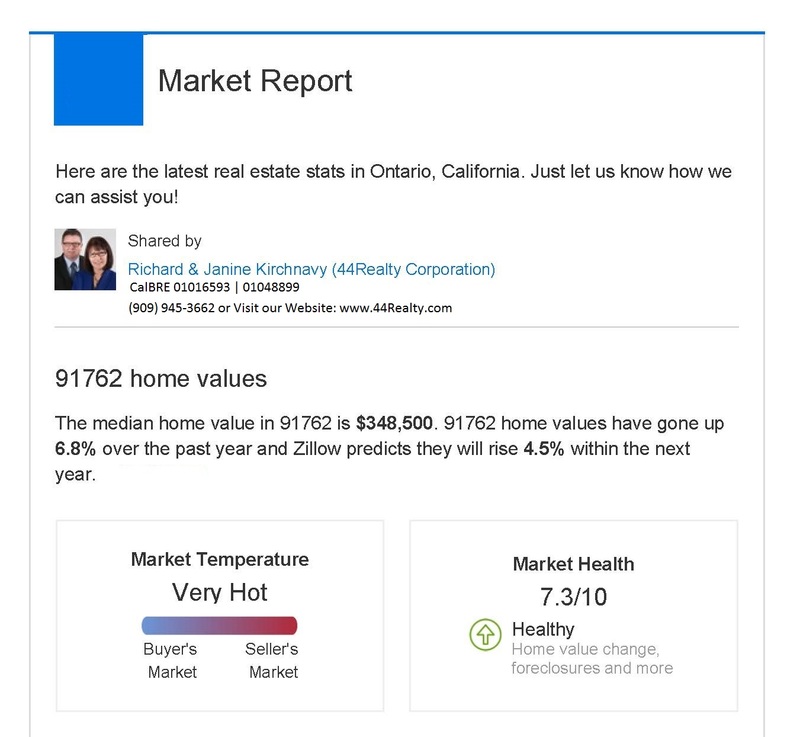 44Realty would love to help you with a FREE Market Analysis. 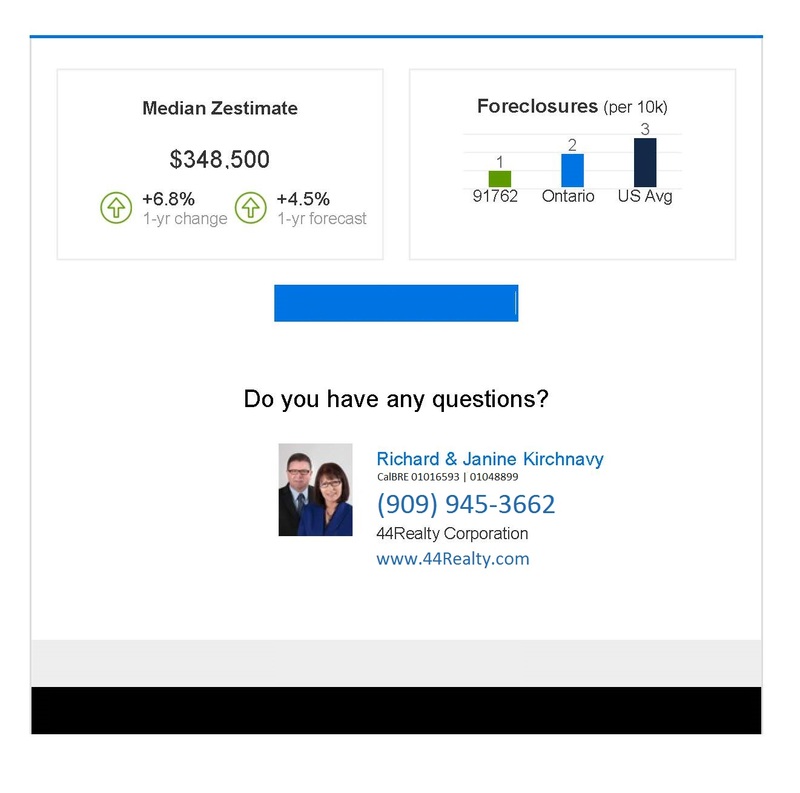 We will use comparable sold listings, along with our expertise in the marketplace, to help you determine the accurate market value of your home.